Why are Japanese people so obsessed with mayo? Mayo in Japan is Just So Darn Delicious! A simple jar of mayonnaise is a common condiment in fridges all around the world. It is typically served as a dressing, in burgers, with chicken or tuna, and is an afterthought when preparing or serving a meal. But in Japan, mayonnaise can be a main ingredient in such things as cakes, potato chips, on pizzas and in ice cream. Although really, it’s best known for accompanying well known national dishes, but not the mayonnaise that you might know. 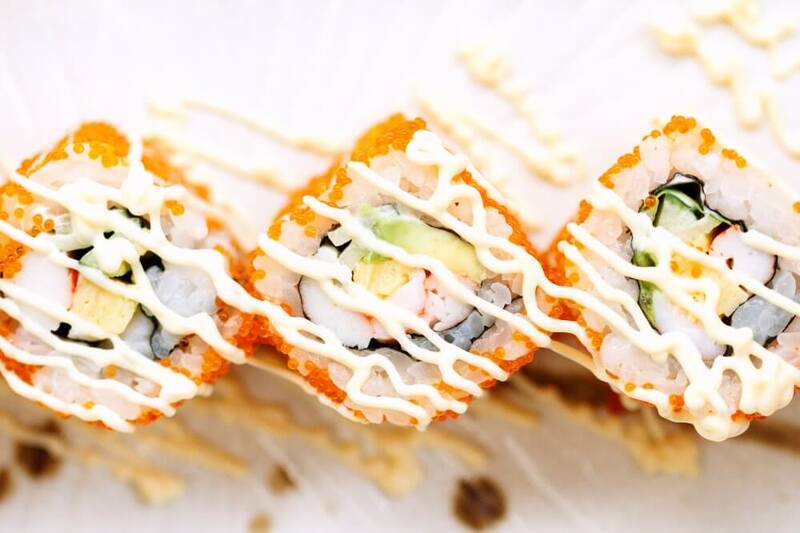 Japan has put their own twist on it, by adjusting the core ingredient that dramatically changes the mayonnaise, but that’s not the only reason why it’s popular here. 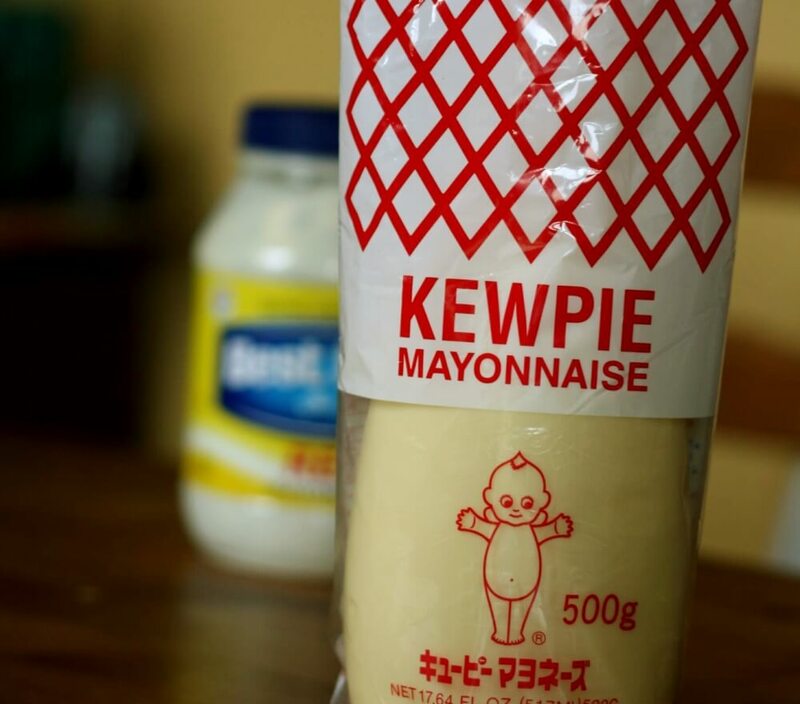 The biggest brand of Mayonnaise here in Japan is Kewpie. This brand started in 1925, and for many years it’s been known to be the ‘go to’ brand of mayonnaise, and not solely on its taste. 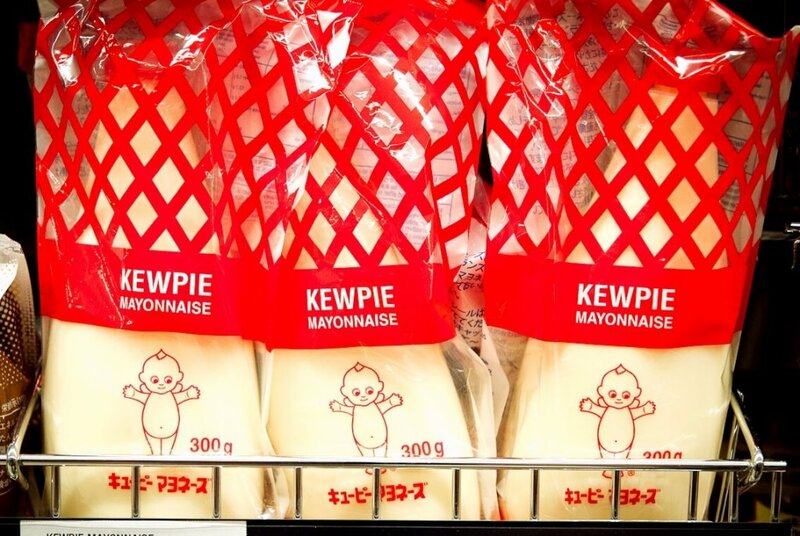 Kewpie’s logo is a cute baby doll with a quiff of hair. This mascot can be found on and purchased in every form you could possibly imagine. However, put aside the marketing brilliance of the brand, and taste it. Then you will understand why it is so popular. Japanese mayonnaises are rich and eggy, and they all have a similar color and consistency, but they often lack the complexities of Kewpie. Therefore, there are many people who wouldn’t eat anything other than Kewpie, and could easily pick it out in an unmarked test. How is Japanese mayonnaise different? Firstly, using an apple cider or a malt vinegar in the base, instead of a regular white vinegar creates the desired color for the mayonnaise without altering the taste. Then, the choice of spices adds the complexities. And also, there is no water used, which makes Japanese mayonnaise thicker than other types of mayonnaise. However, the biggest factor is the omitting of the egg whites and doubling of the yolkes. In other types of mayonnaise the whole egg is used in the base. This double yolk – no white – recipe gives Japanese mayo a unique creamy color and texture that is loved locally and around the world. Lastly, a pinch of MSG brings out all the flavors. This last touch is something that isn’t added to mayonnaise outside of Japan. Mayonnaise is never far away from a meal in Japan. Whether it’s attached to your convenience store bento (lunch box), on a side dish at lunch, or a pocket size bottle called, ‘My Mayo’, bought from a variety store, it’s a daily condiment. And when we talk about Japanese food and mayonnaise there are two main dishes that immediately come to mind, and you can read about them here, Okonomiyaki and Takoyaki… Although not too far behind those two is Karaage (Japanese style fried chicken). This is an extremely popular dish at home or in the restaurants and bars. This dish always comes served with mayonnaise, and the creaminess of the mayonnaise cuts through the hot and oily crunchy batter covering the chicken that works as a delicious combination. Another favorite with locals is mayonnaise on pizza. This dish is very popular and can be found anywhere from the city restaurants to the big delivery chains. 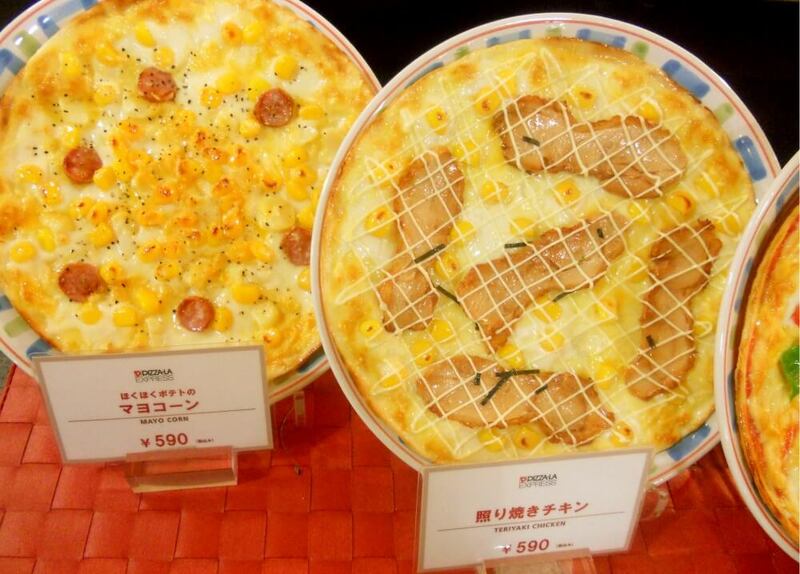 Mayonnaise Pizza is common in Japan -- Photo from Flickr cc by Meredith P.
Japanese chefs love experimenting with Ingredients. Hence, you will lotus root, deep fried pork cutlet, and things such as the ice cream mentioned earlier all containing various amounts of mayonnaise. With this need to want to experiment, leads to the discovery of some very amazing dishes. And finally, rice. Mayonnaise goes great with rice, and you will find many onagiri (rice balls) filled with mayonnaise covered tuna or shrimp in the supermarkets or convenience stores. After tasting Japanese mayonnaise you might never be able to go back to regular whole egg based mayonnaise. However, you should be able to find it available in your local supermarket, but if it isn’t, and you feel like making it yourself, just remember not to use the egg whites and you’ll be halfway there. Or if you’re not much of of a cook, when you are in Japan purchase a few jars, or squeeze bottles — but don’t forget to take a few extra back to share with your friends at the next barbecue, or to have on your next pizza. Learn more about Japanese food culture on one of our food tours in Tokyo, Kyoto or Osaka- check out all the different culinary adventures we offer, here.